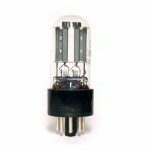 Twin Triods are the most popular type of tubes used in diy audio. 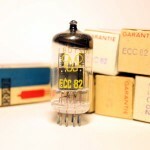 Famous 12AX7/ECC83 and others. 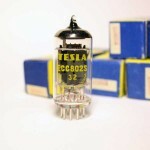 Tesla ECC802S - NOS, without box. White markings. 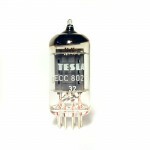 Tesla ECC802S is an enhanced 12AU7/ECC8..
Tesla ECC802S - NOS, without box. 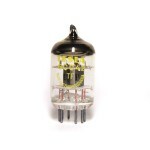 Yellow markings Tesla ECC802S is an enhanced 12AU7/ECC8..
6N1P (Russian NOS, Omega logo) These tubes have exellent clear tone, many people love them in..
6N2P ("Voskhod" factory made, Rocket logo) is very similar to 12AX7 tube (but differ in pinout). 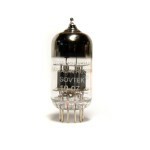 ..
6N2P-EV ("Voskhod" factory made, Rocket logo) is very similar to 12AX7 tube (but differ in pinout..
6N3P-EV ("Oktyabr" factory made) This tube has exellent clear tone, many people love them in..
6Н8С - low frequency double triode, direct substitute for 6SN7. 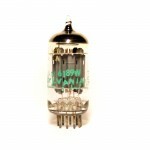 Perfect choice for clean cha..
Electro-Harmonix 12AX7EH is enhanced version of 12AT7 tube. 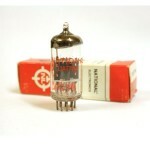 Long plate, low-noise, low-microphoni..
National 12AT7WA NOS, NIB classic 12AT7 tubes. NOS, NIB. 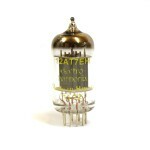 Sort plate, O-getter, very good tone. ..
RFT ECC82 (VEB Funkwerk Erfurt logo) - NOS. Without box. 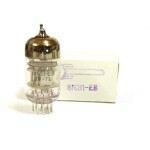 VEB Funkwerk Erfurt is ex-Telefunken..
12AX7WC is enhansed type of 12AX7/E83CC/ECC83. Low-noise, low-microphonics. 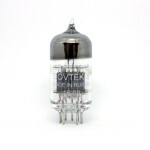 Premium quality audio..
Sovtek 7025/12AX7WA is very similar to Russian 6n2p-ev, but has 12ax7 pinout. 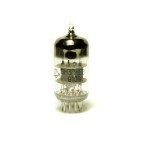 Perfect choic..
Sylvania 6189/12AU7 JAN. Hi anode construction is similar to ECC802S. 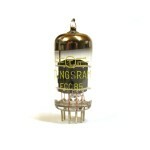 Low-noise, low-microfonic..
Tesla 6CC42 NOS. 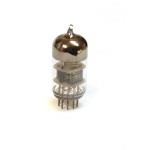 6CC42 - direct sub for 5670 2C51 396A. 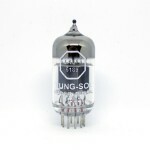 Perfect choice for Vari Mu Compressor..
Tung-Sol 12AU7 (6189). 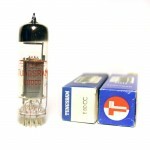 Great balanced sound makes this tube is applicable for high-gain guitar am..
Tungsram ECC82 - NOS, NIB, in original boxes. 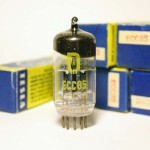 You can find E80CC in Telefunken, Tab, Siemens, EMT..
RFT ECC85 VEB Röhrenwerk "Anna Seghers"
RFT ECC85 (VEB Röhrenwerk "Anna Seghers" production) - twin triode, NOS, NIB, in original T..
Tungsram ECC85 - twin triode, made in Hungary (famous Tungsram factory). 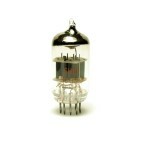 Subs - 6AQ8, B719, 6L17,..